Who is The IT Fairy? 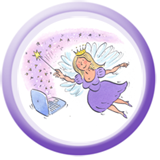 The IT Fairy is a magical creature who will wave her magic wand and banish your IT woes! Oh you were looking for a bit more than that. My name is Clare Lauwerys and I’m known for developing websites for SME’s, start-ups and charitable organisations. To see my portfolio and learn about my website services pop over to my other home on the web, PositiveWeb. The @The_IT_Fairy tweets mainly about IT matters although other things do pop up. So follow me on both! One of my favourite clients phoned me one day and I said “Clare I need to do X…..I’ve been looking all morning online and I’ve found this thing and that thing that look like they will do it but I don’t want to download them in case they do something nasty to my laptop”. I was able to tell my clients in 2 minutes how they could do what they wanted to do with software they already had on their computer, saving them the stress and worry. And if they’d phoned me earlier I would have saved them time too. Why has no-one told me this before is something many many people ask me when I show them quick and easy ways to make technology work better for them. I don’t know why this is – I suspect a lot of techie people like the god-like status of knowing things lesser mortals don’t! Not me, that’s why I’m The IT Fairy, not The IT Goddess. I like to share my knowledge. So when you need some IT magic, call The IT Fairy. I will come to you with a program that deals with your IT problems but as I’m such a nice IT Fairy I’ll probably pass on some extra tips that you didn’t know you need to know, but once you know them you’ll be amazed at how much time you’ll save, leaving you to get on making money for your business. See Social Media Magic and PC Magic for two of my services. And yes, you can book me for a visit that does both.